The winter landscape is a fabulous time to connect with the lives of our local wildlife. Mammals, birds (even winter insects) leave behind tracks, trails and signs of their presence. 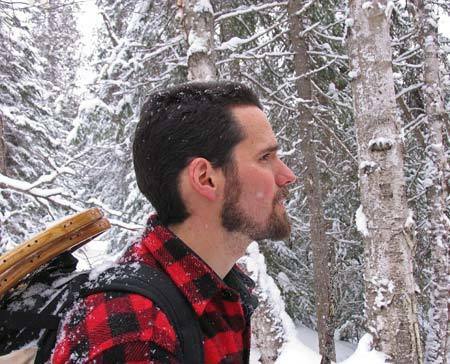 Spend the morning with certified wildlife tracker Dan Gardoqui of White Pine Programs, learning to interpret the abundant clues of our wild neighbors. Participants should be dressed to be outdoors for the entire 3 hours – regardless of temperature. Dress in layers. Bring snacks and a drink. Program runs regardless of snow cover. For adults & interested teens. Group size is limited to 15 people, and advance registration is required. Please register using the form below. The price is $20/ person ($25/person for non-members), payable by cash or check at the workshop. Participants who are members of either YCA, Maine Audubon or the Wells Reserve qualify for the member price. The workshop will run from 9 till noon on Saturday, February 23rd (with Sunday as a fallback date if Saturday’s weather is too poor). Note: this workshop is being co-hosted by YCA and the Wells Reserve at Laudholm, but reservations are being taken only through this YCA website (below). Participants who are members of either YCA, Maine Audubon or the Wells Reserve are eligible for the members price.